Media Monday: Radio channels with innovative content ideas! “Some of the most renowned singers like Javed Ali, Sona Mohapatra, Kavita Seth, Tochi Raina, Shruti Pathak and many more, along with Mirchi listeners will sing and beckon the monsoons in their inimitable way. “ –source. As they say, this year Mumbai needs more rain than ever as only a month’s supply of fresh water is left. It’s obvious that such type of efforts will seldom help in rains, but its a nice initiative to spread the awareness about water scarcity in Mumbai. 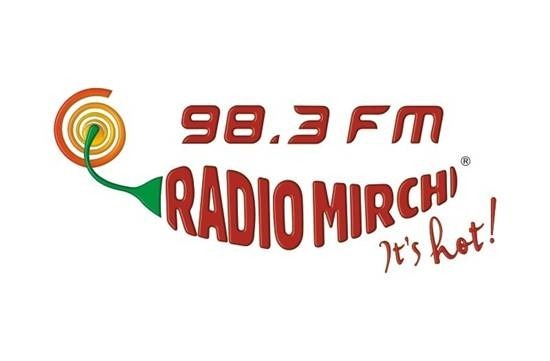 “Radio Mirchi is committed to nurturing music in all its avatars not only through on air experience but in mobile space like Mirchi Mobile, on ground via Mirchi Music Awards etc… With ‘Generation A-Star Mirchi Create with Agnee’ we intend to provide a platform for the aspiring talents of the country, help them to achieve their dreams and make music synonymous with ultimate enjoyment. Now, you don’t just listen to it, but you can also be a part of it”. 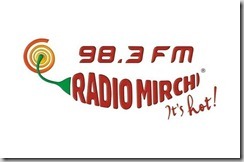 Radio City, Bangalore has taken an initiative similar to reality comedy shows on TV. City’s ‘Total Bangalorean’ FM station will host an all new 13-day show called ‘Nage Habba’. Famous Sandalwood Commedian stars such as Komal, Jaggesh, S Narayan, Sharan, Mohan, Doddanna and Tennis Krishna will be present in the show sharing crack-up experiences about their film shoots, playing funny kannada film dialogues, acting out comedy scenes on air, and playing contests giving listeners a total ‘jhakaas’ time. –source. Do you think there is scope for more of such unique initiatives over Radio? Can you present some of your funny ideas :)? Similarly,upcoming startups can be given a chance to feature for a minute as well.It shouldn’t be like an AD.it should be a story.! This can considerable improve the adaptiveness of people to new technologies and solutions. undoubtedly, there is a lot of scope in this field!!! my personal fav. is when i once heard some RJ dial a no. of a local corporator pondering him regarding the unavailability of proper roads. Haven’t heard of many sch initiatives though!! !